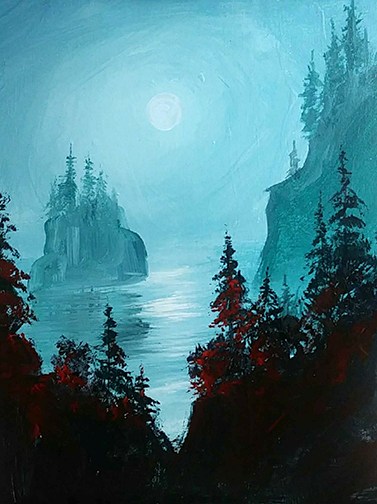 Paint Parties are hosted at The Studio on Friday night from 7 to 9:30 pm. No experience is needed as you will be expertly guided through the featured painting. Stencils are provided if there is difficult drawing involved. The Studio supplies everything needed to complete your masterpiece. You'll bring drinks and snacks if you so desire. Adults 21 and older. 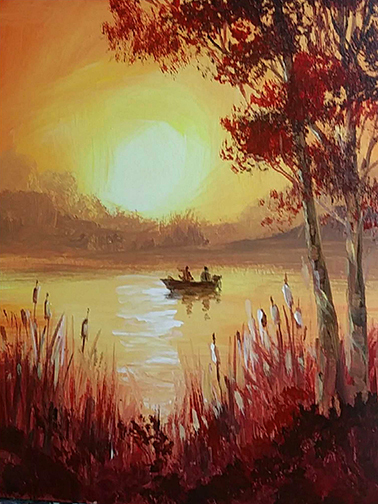 Petite Canvas Paint a Long for adult and teen, ages 14 and up. Follow along with Kris to paint your original 11 x 14 canvas using Annie Sloan Chalk Paint. You choose your colors, and we lead you through your painting for one of a kind results. No experience is needed as you will be expertly guided through the featured painting. Relax and enjoy! 7-9 pm, $33 per person, all materials supplied. Payment is due at Registration. Register online or by phone. 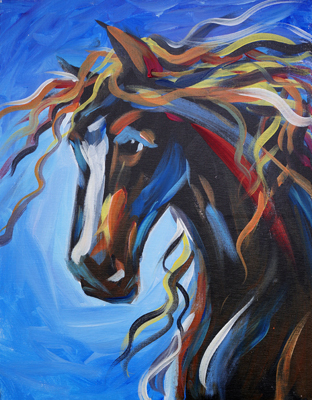 Paint Parties are hosted at The Studio with artist David R Becker instructing. Friday night, March 15th from 7 to 9:30 pm. 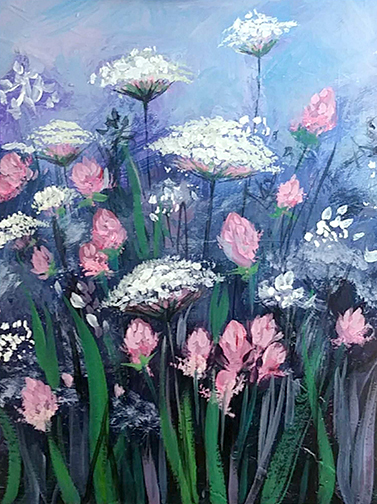 Paint Parties are hosted at The Studio on Saturday night from 7 to 9:30 pm. An email will be sent to you reminding you of your reservations. Payment will be taken at the event, cash and credit card accepted. Please register online by adding the selected painting to your cart and completing the check out process. Please do not call or email your registration. To complete your reservation, please provide your name, phone number, email address and how many painters in your group, with their names included. In case you should need to cancel, please call The Studio (815) 385-3990. 24 hours notice is required in order to receive a full refund.